Guitar Amplifiers or Amp are a kind of electronic device which are used to amplify the sound of an electric guitar and it provides a connecting interface for example to connect with your Mac to use GarageBand software. For GarageBand software, if you do NOT to buy any kind of Guitar Amplifiers or Amp, you can simply use a kind of converter cable and Mac has far better Amp software in GarageBand than low cost Guitar Amplifiers or Amp. This article is not specific for like how to use GarageBand and electric guitar, you can obviously skip buying the amp and directly connect, that is enough good for legendary quality artist (inspired by GarageBand…pun intended) like me; but if you really want a Guitar Amplifiers or Amp after knowing why you want to use – this article is for you. The Guitar Amplifiers or Amp has advantages even with Mac with GarageBand and electric guitar – the signal of the instrument is conveyed via different type of cables like USB cable (which makes it a MIDI device) or via a radio apparatus. 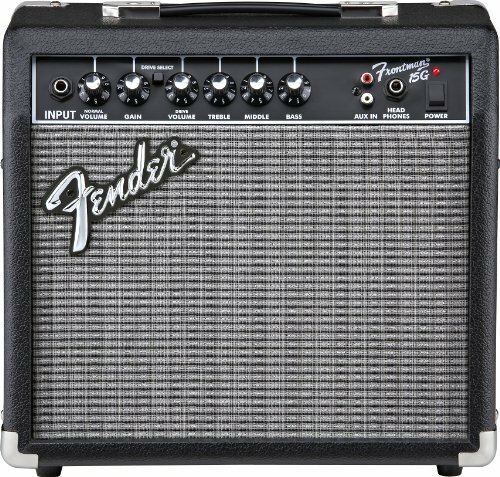 The guitar amp is not only amplify the sound neutrally in case of electric guitar, but also contribute significantly to modification of sound. The musicians often considers the guitar amplifiers as part of their musical instrument and uses it to give various effects -kind of artistic distortions can be made. Basically this was the primary reason to develop the combo – historically it is a part of starting of Jazz period, people had less computing devices than now. Combo amplifiers (abbreviated Combo) has both the electronics part to amplify the sound and one or more loudspeakers mounted in a common housing. The first early guitar amplifiers were mostly of this type as there were no computers or iPads. The output power moves generally in the range of 5 to 100 watts. Combos with even smaller output power can be supplied from a battery part. They are well suited for practice and game locations without AC power. Mini amplifiers or mini amps has the only the amplification part. With tube amplifiers circuit to amplify the signals, vacuum tubes are used. Although nowadays rarely tubes are used in electronics (due to size, weight, heat generation, lack of long-term stability and complex power supply) that on guitar amps is used because of the special transmission characteristics. Digital signal processors are used to simulate the behavior of tube amplifiers, they can have very high quality costly extra things. These are the basics about Guitar Amplifiers, possibly enough for the starters. This Article Has Been Shared 8522 Times! Fix Mountain Lion Slow Shut Down Time that takes more than ~3 sec to shut down after a gray screen with spinning icon. 20 second shutdown is not nice for a Mac. Azure IaaS is possibly the most important move on Cloud Computing IaaS market by Microsoft Azure in 2013. Unlike Rackspace, they have kept a free trial tier. Google’s Cloud Computing and Branding Strategies in 2013 quite significant. Google is taking approaches for increasing brand value through Hardware, Cloud etc. Mac Pro is Apple’s most powerful and highly configurable Intel Xeonâ€“based workstation computer came as successor of Apple Power Mac G5 series. Good week.We are musical instruments manufacturer with many years rich experience in China. We have refreshed our online catalog, believe that you will find some attractive additions to our product line. Once you have had time to study the supplement, please let us know if you would like to take the matter further. Ordering small quantity for close inspection is much appreciated and welcome.? Looking forward to hearing from you.?? Cite this article as: Abhishek Ghosh, "Guitar Amplifiers Explained," in The Customize Windows, April 12, 2013, April 18, 2019, https://thecustomizewindows.com/2013/04/guitar-amplifiers-explained/.